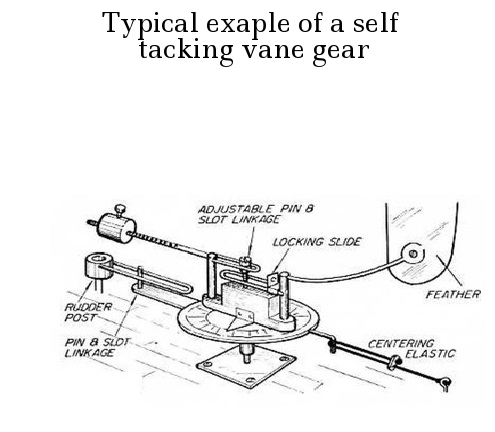 The principle of the vane gear is simple. Once the sails are trimmed to the correct angle for the direction you wish to sail and the feather is faced to turn to the wind, your boat will keep its course. It keeps the sails at the perfect angle to the wind, but also (as long as the direction of the wind does not change) steers your boat to where you want it to go. First invented in 1875, but was initially considered unsporting and only after 1935, when a boat using vane steering won an international race and become widespread. 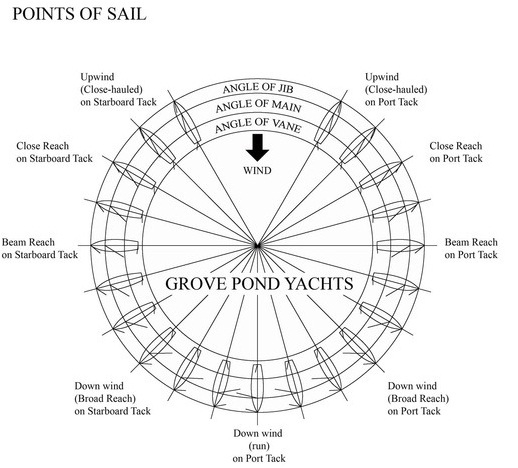 The vane gear fitted to grove pond yachts is a result of two years development. A balsa feather mounted to a friction mounting is counter balanced by a sliding brass weight. This is so the weight of the feather will not effect the steering when the boat heals. This friction mounting can be rotated on a brass spindle to which is fixed a calibrated dial and an activating gear. The friction mounting has a pointer to record the angle of the feather on the dial. This enables you to repeat the same setting at that point of sail. 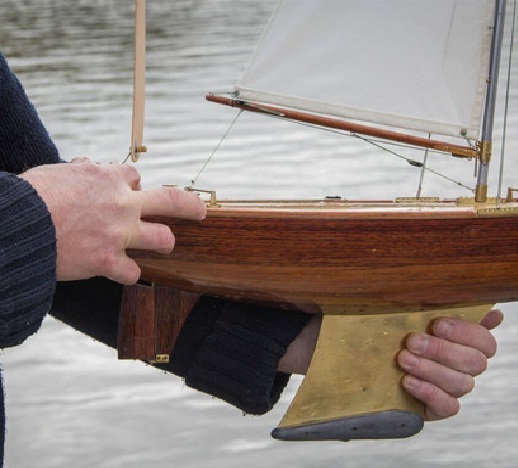 When the spindle is rotated by the action of the wind on the feather, the activating gear turns the tiller gear which in turn, moved the rudder. The tiller gear is dampened by an adjustable elastic cord for different wind strengths.